Elemental Embellishment is a Ready to Wear womenswear collection. 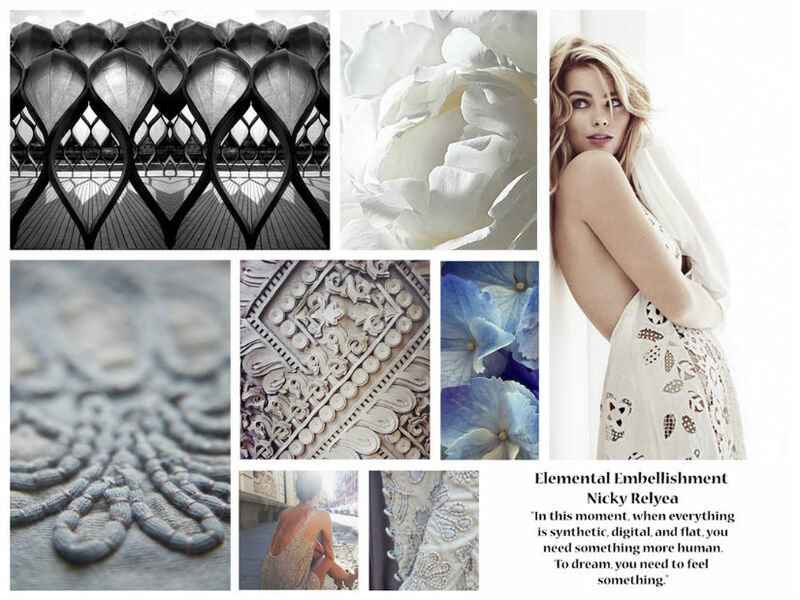 Nicky was inspired by her semester abroad in Italy where she studied trends and art. She was influenced by the traditional craftsmanship that surrounded her in Florence, Italy. Thus her collection incorporates texture through the use of embroidery inspired by folk art and other traditional quilting and embroidery techniques.